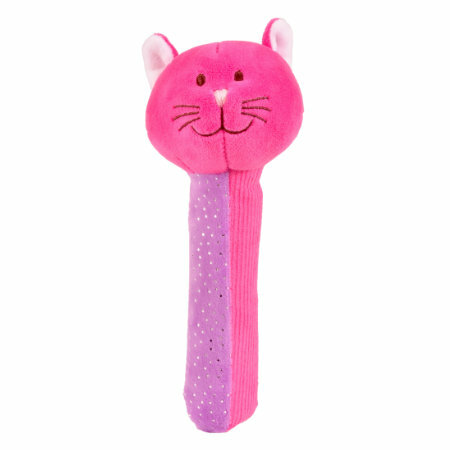 Product Page - Cat Squeakaboo! Not only can a baby very easily make it squeak by squeezing anywhere on the handle, it is also a rattle and makes a crinkle sound. So much fun packed into a simple toy. Product Feedback for Cat Squeakaboo!